Join us at the Hill !! MHCA sponsors special programs and activities at Monocacy Hill that are open to the public and are free of charge. Some programs require pre-registration. For walks and hikes wear sturdy shoes and bring water. All activities are weather permitting. Monocacy Hill Natural Recreation Area is maintained by two groups -- Amity Township and The Monocacy Hill Conservation Association (MHCA). 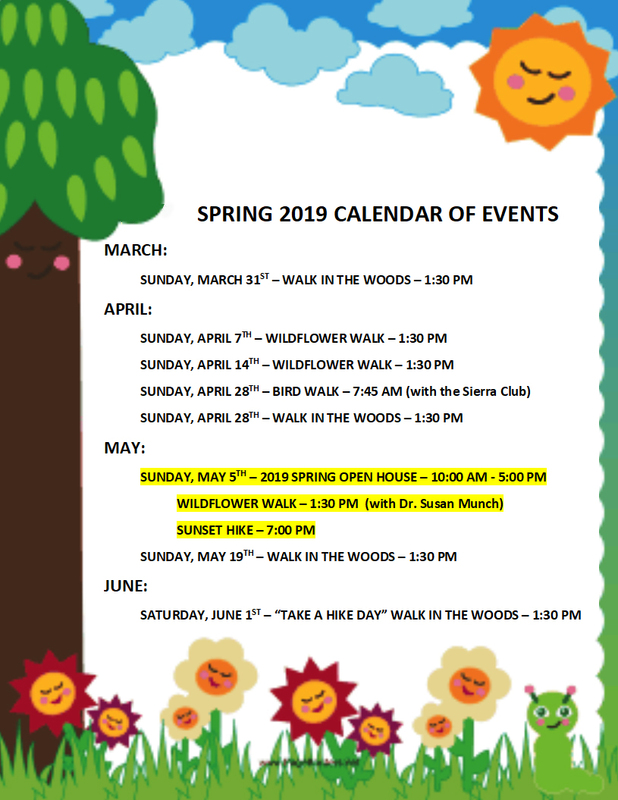 We publish a schedule of workdays as events for our volunteers to participate in that are aimed at maintaining the Hill's rich natural environment. Such activities include trail trimming, storm damage clean-up and eradication of invasive plant species. We currently have a cadre of about 80 volunteers upon whom we can call to respond to trail maintenance needs. Periodically, a specific maintenance need is identified that requires immediate attention (such as storm damage). On these occasions, our email list is contacted as far in advance as possible to accomplish the work needed. If you are not already a member of our trail maintenance team and are interested in being added to our email list, please let us know at: trail_volunteers@monocacyhill.org or call 610-385-3226.